Darbessama is a spiritual, cultural and social foundation named after the late Father Simon El-Zind..
Darbessama is inspired by his life, his parish work, his writings, his homilies and his spiritual experience, especially during the last months of his life. Parents, scouts, parishioners and friends with whom he lived and to whom he testified of his love for Jesus Christ, are called to be members of this institution. Darbessama also invites each and every one who wants to make a ” quality leap” and to live a profound Christian life, to be one of its members. To bring back the groups of prayer that were formed during the illness of late Father Simon. To form a group of volunteers who will accompany the sick and assist their parents. To enhance the parish work of late Father Simon and try to make it known in other parishes. 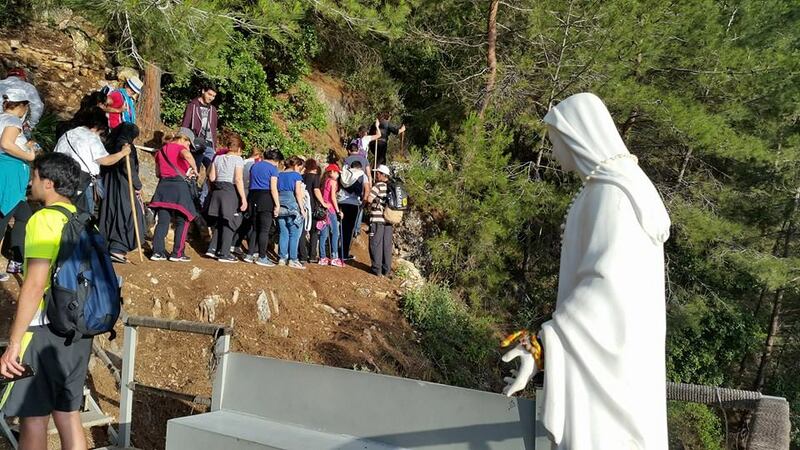 To continue the pilgrimage path of “Darbessama” from Jounieh to our Lady of Lebanon (Harissa) that late Father Simon had started and wanted similar to the Way of the Cross in Lourdes (France). To create a spiritual and cultural library by the name of “Father Simon El-Zind’s Library” which core would be formed by his personal library. To document and to publish the homilies, the meditations and the writings of late Father Simon. To produce a set of compact disks (CD) containing hymns and several passages of the homilies recorded in the voice of late Father Simon. To generate school and academic help in the name of Father Simon.